Click on any exploded drawing listed below for the Mercury I need help page made for the do it your self mechanics. 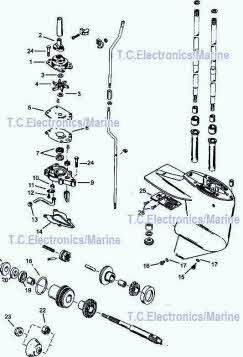 Need help with finding a Mercury outboard seal kits, impellers and water pump kits? 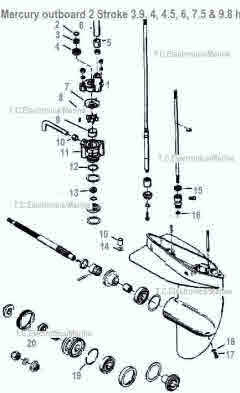 Just need a outboard lower unit drawing please click on the appropriate picture listed below. 40 to 100 horsepower cross reference. Click for larger exploded drawing and photos. 3.9, 4, 4.5, 6, 7.5 and 9.8 horsepower for 2 cylinder outboard motors. Mercury outboard parts 6-8-9.9-10-15 hp. 1 or 2 cylinder two stroke outboards.